Add color to the basic "jazz" form of the 12 bar blues progression by adding altered dominant chords, diminished chords, and the turnback progression. The chord changes listed below are found in the most stripped down version of a 12 bar blues progression in the key of F major. You have most likely learned these chord changes in Phase 2 blues lessons taught by Hawkeye Herman, DJ Phillips, Eric Madis, and Mary Flower. The most basic form of the blues is seldom used in jazz music. The chords in this form of the blues progression can be played as basic triads. Or, each chord can be played as a dominant seventh voicing. Note: The I chord can be played in measure 12 instead of V. The V7 chord is typically used, because it creates a stronger resolution back to the beginning of the form. Watch as Matt demonstrates this form of the 12 bar blues with the Freddie Green Rhythm at 02:05. Basic Form of the "Jazz 12 Bar Blues"
Essentially a jazz blues takes the original or basic 12 bar form, and adds some additional chords. Also, existing chords are frequently altered to add more color. These additions and alterations give the 12 bar blues the characteristic harmonic sound of jazz/swing music. For the sake of comparison, let's take a look at the chord changes for the basic 12 bar form and the jazz blues. Make a careful note of the differences between the basic form of the jazz blues and the most basic form of the blues progression. As you can see, the jazz version is much busier as a result of more frequent chord changes. Bars 7-11 feature what is called a "turnback" progression, or I VI ii V I. This is the second most common chord progression in jazz next to the turnaround. Watch as Matt demonstrates the basic jazz blues with Set 1 voicings and the Freddie Green rhythm at 04:38. Play the basic jazz blues with Matt in F at 06:18. Use Set 1 voicings the first time through the form. Then, use Set 2 voicings. During the third pass through the form, make sure that you mix up the available voicing options and keep the comping interesting. For additional practice, play the Charleston rhythm with Set 3 voicings while Matt plays Freddie Green. Notice how Matt does not play the IV chord in bar 2 during the last pass through the form. This is a common technique that can be used to add variety when playing multiple choruses of a blues progression. You must make sure that the I chord is consonant with the melody in bar 2. If not, the IV chord must still be played. When comping for a solo, this substitution idea can be incorporated at will. Note: The altered dominant chord options cannot be used if their extensions clash with the melody. However, they can always be used when comping for a soloist. The basic form of the jazz blues is most often used in classic swing and cool tunes. The fancy version is most frequently used when playing bebop tunes. Bebop features more rapid chord changes and chromaticism. Note: Additional information about the stylistic characteristics of the major jazz genres will soon be added to the articles section of the site. 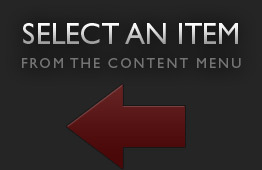 This section can be accessed through the "Articles" button on the left hand side of the homepage. Play through the "fancy" version of the blues progression in the key of F. Practice with the metronome set to beats 2 and 4. Vary the voicing options each time you play through the form. 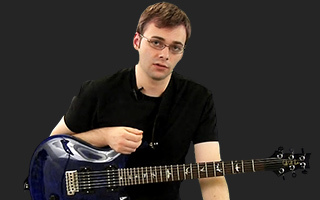 When you feel ready, return to the lesson video and play the "fancy" jazz blues along with Matt at 07:30. Keep in mind that you will not always use the same voicings. This is perfectly acceptable and expected since both of you are improvising. Chapter 3: (06:04) Chords in the Key of B Flat The keys of Bb and F are most common for jazz tunes that follow the basic 12 bar form. Keys that contain flats are the most common keys used in jazz composition. Although these keys are more difficult for guitarists and pianists to play in, they are far easier for horns. Since horns are the most prevalent melodic instruments in the jazz genre, most compositions are written in flat keys. The most common keys are Bb, Eb, F, Ab, and Db. Consequently, these keys should receive more practice time than key signatures that contain multiple sharps. Bar 4: optional altered dominant I chord: B7(#9), B7(b9), B7(#11), B7(#5), etc. Watch as Matt plays the fancy jazz blues in the key of Bb at 02:58. Practice all three forms of the blues progression in the key of Bb with a metronome. Play through the form at a wide variety of tempo ranges. When you feel ready, play the "fancy" form of the jazz blues with Matt at 04:11. Remember to keep things interesting by varying the chord voicings. Also, do not limit yourself to one area of the neck when comping! Feel free to utilize the whole range of the guitar. In Lesson 17, you will learn how to play the "fancy" form of the blues progression with the Charleston rhythm.